GSTAAD—The pastoral heaven of this place can get very dull during the summer months. Green hillsides, neat farmsteads, pleasing breezes, and meadows bright with wildflowers amid great white-capped mountain peaks are no substitute for pretty women or intellectual company. This is the bad news. The good is that the nouveaux riches and terribly vulgar do not appear during the summer, they’re too busy sweating it out in the South of France or in Marbella. Alas, they show up during the winter months, but the low temperatures keep them covered up in furs and chinchillas. To see the crappy ones in bathing costumes would be too much, even for someone like me, who has witnessed some pretty gruesome sights in his lifetime. 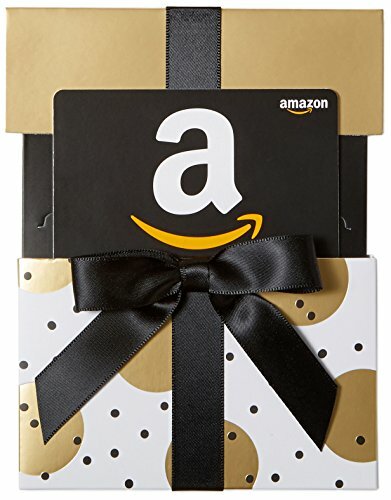 Amazon.com Gift Card i... Buy New $15.00 (as of 05:00 EDT - Details) Which is what I do—look the other way—most of the time when I’m in Gstaad. The malodorous hordes invading southern Europe from Africa have nothing on some of the throng coming up from Geneva. The difference is that the latter have lotsa moola, and there is nothing worse, as far as I’m concerned, than lotsa moola with no manners. Mind you, the locals have had very good years—their shops are thriving, there is full employment, and the real estate market has gone through the proverbial peak of Mont Blanc. The man who has made all this possible and has been instrumental in ruining my life is Marcel Bach, richer than Croesus and Midas combined, and the person Swiss legislators are seriously contemplating changing the country’s name to: Bachland. Marcel started out as a ski instructor, a fresh-faced kid I noticed because of his pleasant manner and brave downhill technique. He also had an eye for the ladies that made him stick out among the locals. He married a pretty English girl, had two daughters, went into real estate, and out of the blue was the first local man to conquer Everest. Everything in Gstaad—wives, children, mistresses, chalets, ski runs, mountains, restaurants, hotels, cable cars—belongs to Marcel. But here’s how he’s different from the vulgarians he has done so much to attract. He lives very simply in an unostentatious apartment, does not drive a flashy car, is a very good father and friend, and is very helpful to people like myself who are always changing their mind as to where they should live. He’s the one who found my present perfect chalet and property, having managed to sell my old place for a fortune to some fool from Monte Carlo. Taki is an ex-Greek Davis Cup player as well as a former captain of the Greek national karate team. He has won the U.S. national veterans judo championship twice, and in 2008 was world veterans judo champion 70 and over. Since 1967, when he began his career with National Review, he has been a columnist for the London Spectator, the London Sunday Times, Esquire Magazine, Vanity Fair and Chronicles Magazine. In 2002 he founded The American Conservative with Pat Buchanan. He has covered the Vietnam War as well as the Yom Kippur War and the Cyprus conflict of 1974.